Wish you a very happy and prosperous new year from team Matriux. 2011 has been a great year for us where we along with CHmag have made it possible to reach you better. A special thanks to CHmag team for making it with us. 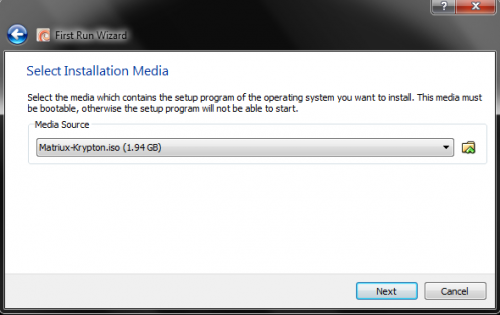 It has been noticed that due to a custom and special installer MID used in Matriux Krypton, many users are confused on how to get Matriux setup on their Hard disk or VirtualBox, so this month we bring you with how to setup and get started with Matriux Krypton, a better way to start 2012. 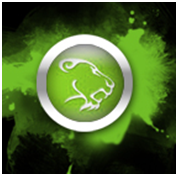 We will also try to make it possible to keep it easy for the new *nix users to understand it and get easy with Matriux. 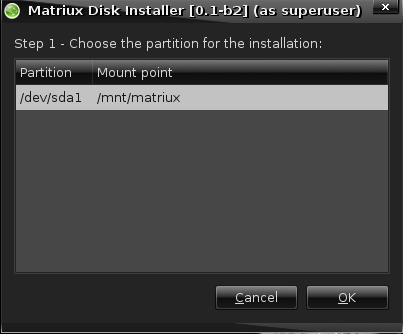 Matriux Disk Installer, named MID is an installer specially developed by Mickaël Schoentgen in contribution with Prajwal Panchmahalkar, inspired by the pureOS version of Debian installer for the version of Matriux Krypton making it more compatible and simple application to install the Live system. If you are installing on Hard Disk Drive, start from “Step 5”. 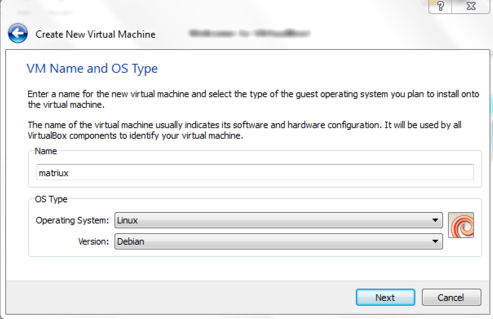 Step 1: Start the virtual box and click ―New‖ and select Operating System as ―Linux‖ and Version as Debian. 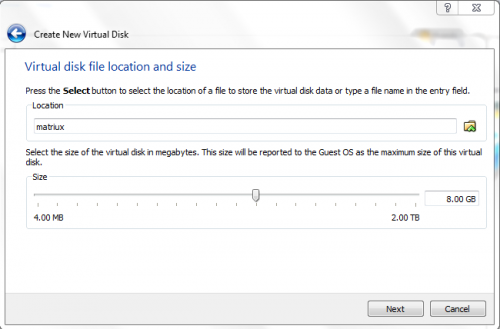 Step 3: Create a Virtual Hard Disk for the installation (VDI, VMDK is preferred) usually more than 6GB is recommended. Step 4: After these start the Virtual machine, since it is the first time it will prompt us so that a Disk Image (ISO image) can be mounted. Browse and locate the ISO image. 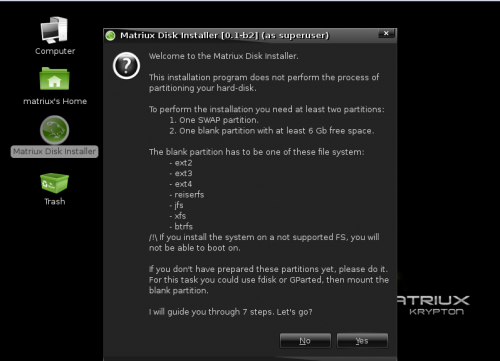 Step 5: Start Matriux in live mode (for hard disk installation, insert the Disc and boot from the CD/DVD in the live mode). Step 6: Type the password as toor when prompted. (From here note that ―toor‖ is the root password for Matriux ). Step 7: Open up a terminal and type gparted to start the gparted interface. If it is a new unallocated partition then Device > Create Partition (else if it is a used disk space then skip the next step and go to formatting it). Step 8: Now create the partitions. Format the partitions and close gparted. Step 9: Now open a terminal and mount the partition we just created. 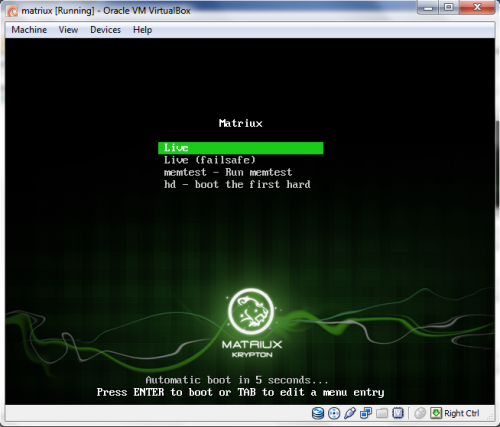 Step 10: Now start the Matriux Installer from the desktop and It should be easy for you now. Step 11: Go ahead and choose the partition that we mounted in the earlier steps. If you are having a multiple boot at certain step you can choose to install the grub.